Turned out my body is a lot weaker than my youth *cough* so I easily fall sick.. Friends have scolded me because I worked too hard and abandoned my body.. But I am bored at bed so I played games, and I also feel an urge to share this awesome eye shadow palette to you..
Also some are anxious if I don't update, so yeah... Today I am getting a little better and can type [not like yesterday, could hardly pick up a spoon wtf] so that means, NEW POST! Let's take a look of this eyeshadow palette from LORAC!! 6 velvety-smooth 3D eye shadows infused with luminous, prismatic, holographic lustre, long-lasting pigments and buildable, versatile color - all packaged in a holographic, faux animal skin palette. When I first received the palette, it was truly gorgeous and unique. The box and the product are in hologram, so if you see it under light, it will show vivid rainbow colors that's very attractive! In front of the palette there's Lorac brand printed, and the rest of the packaging is wrapped by that snake-skin pattern that reflects rainbow light. Pretty! 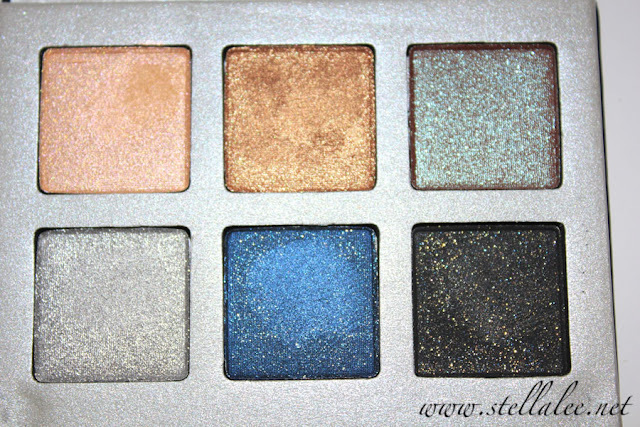 It has a shimmery champagne eyeshadow that's perfect for everyday look to brighten up your eyes. Next is a bronze eyeshadow with a little metallic finish. Third eyeshadow is probably the funkiest eyeshadow I've ever met, up close it looks like pale green-ish eyeshadow but when it's swiped on, it becomes red color with green shimmers!